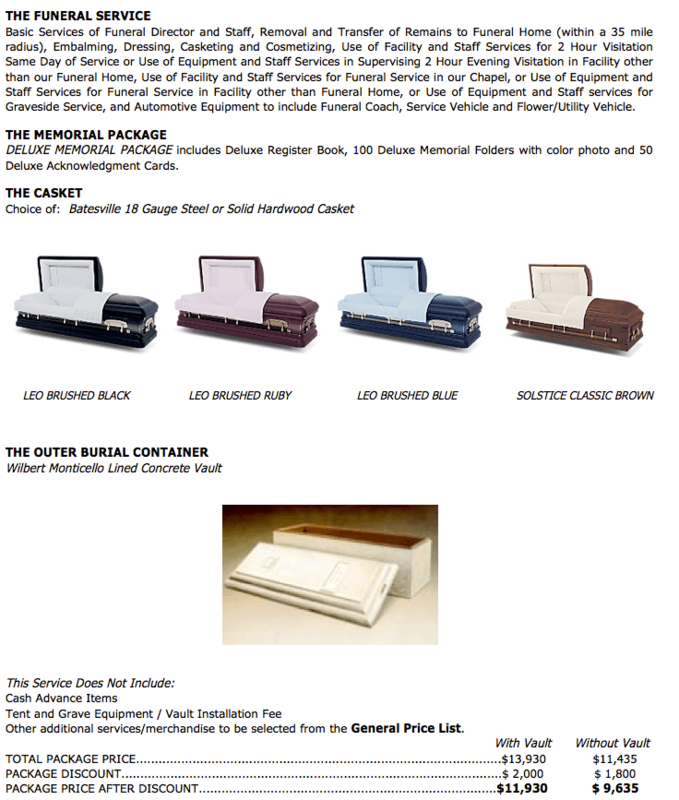 PACKAGE LIMITATIONS: Packages are sold as packages only and merchandiseand/or services cannot be deducted from the package. 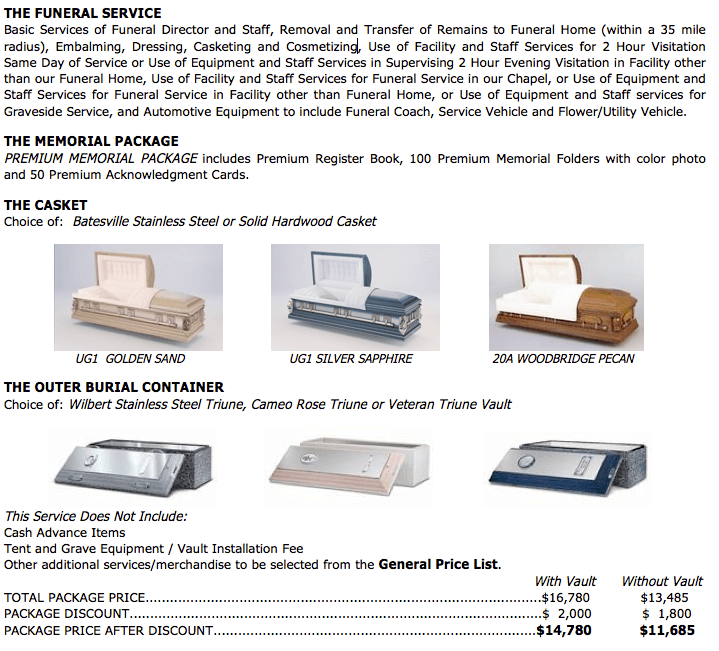 However, merchandise maybe upgraded by paying the difference as listed on the specific price lists.Same day visitation may be changed to evening visitation for an additionalcharge of $595. 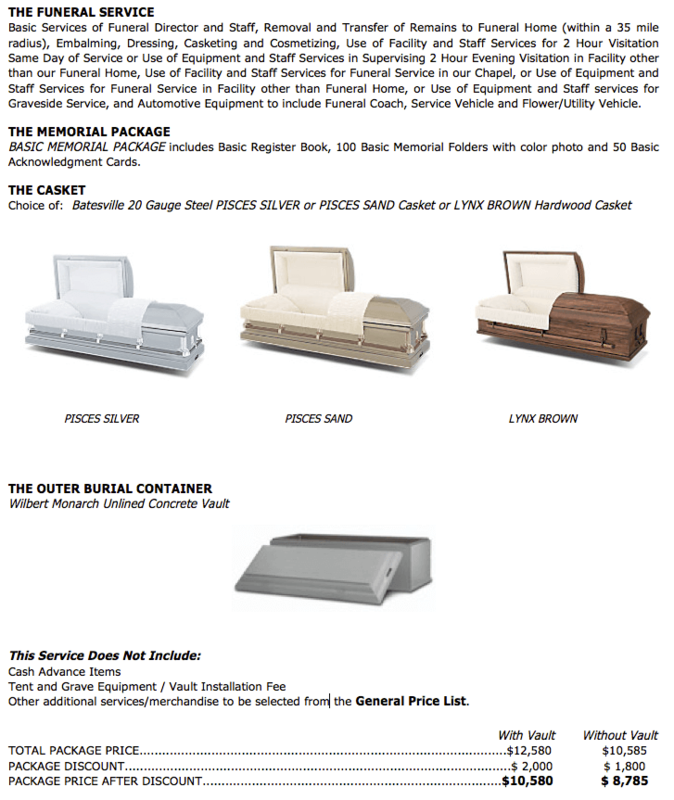 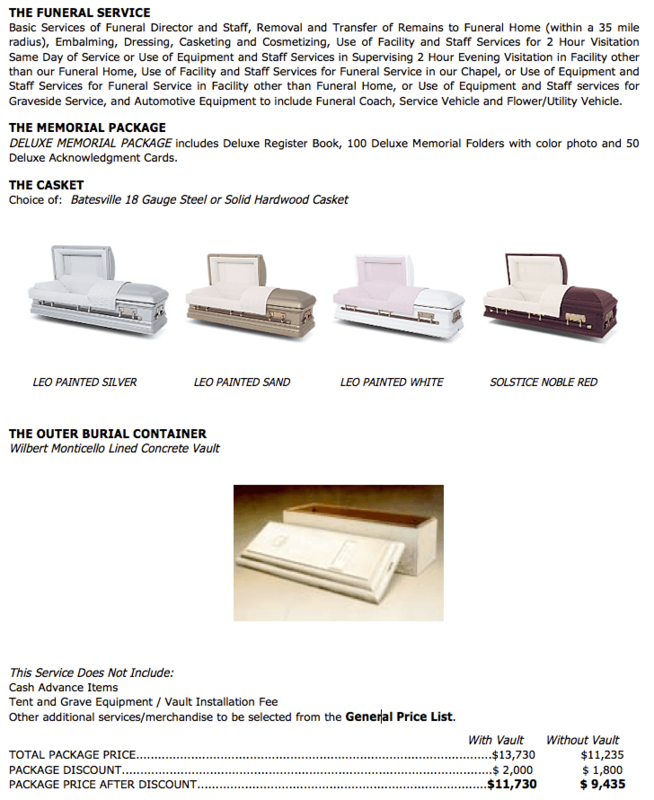 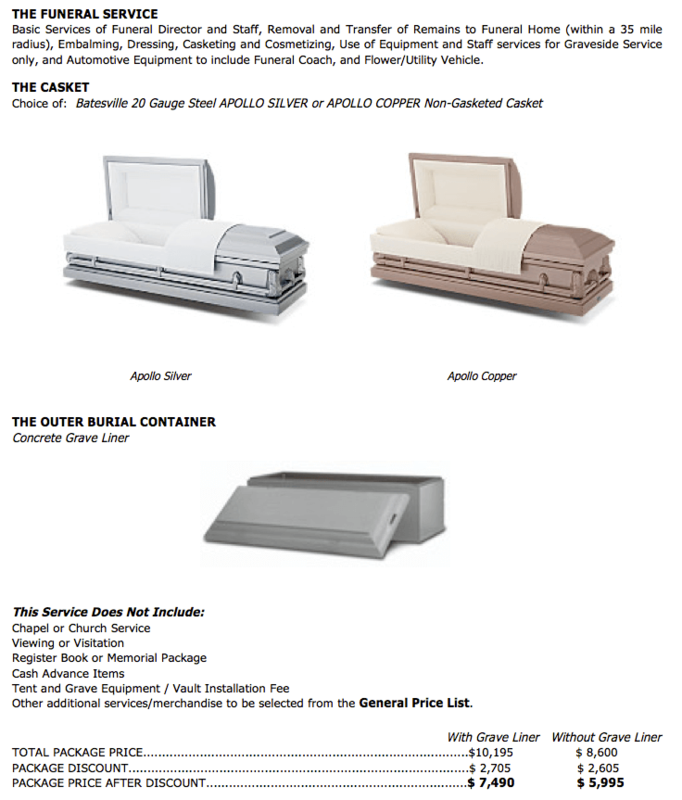 Also, credit for Burial Policies must begiven at the time of purchase to receive the package discount.